Supoort iOS 4.0 and higher. 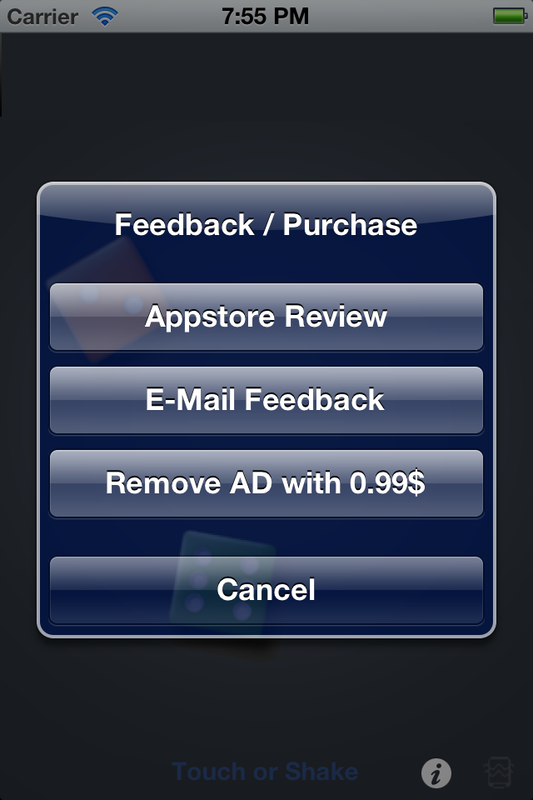 Castdice is real simple dice app! Touching on your screen or shake your device will make the dice rolling. Overall look is like the figure.1. 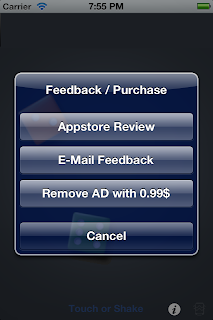 The left one is option ﻿button which contains Appstore review button, E-mail feedback button and In app purchase for remove advertisement. The right one is vibration toggle button. 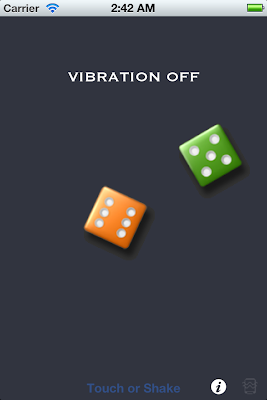 When rolling dice, your device will vibrate for a few second by default. 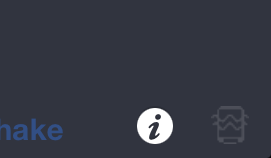 User can turn on and off the vibration with this button. and We also have PRO version which has no Ad. We know very well that the mobile app industry is extremely tough and dynamic. We can provide you with the effective, well directed, and well executed promotional efforts your products require to make them stand out from the crowd and succeed. If you are interested feel free to contact us at any time.